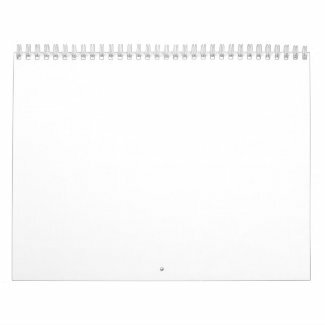 Best Quality Photo Calendars or leave them Blank, from the Best Photo Calendar Website, Zazzle. BULK discounts starting with only 2 Custom Photo Calendars with Amazingly Vibrant and Detailed Robot Printing. High Quality Photo Calendar Paper. Easy Directions below on How to Make a Calendar with Pictures with easy Calendar Templates Many styles to choose from or select our most popular style choices. I feel like my custom photo calendar is happy wall artwork. See the photo memories everyday. Most popular Calendar options have already been selected for you. Within the Personalize it area, Click tiny word “Change” located below each month. Click “Select 1 image to Upload” to Add Your Pictures from your computer. Be sure to SCROLL DOWN within the Personalize it Box to see ALL the Months and or Text Boxes. Customize your calendar more. Personalized photo calendars are set up with the most popular options and dates. To Change the starting and ending month to a different month for 12 month, 18 month and 24 Month Calendars. Click Here for DETAILED INSTRUCTIONS that I created for you. : Bulk Calendars discounts start with the purchase of only 2 Calendars and go up with volume orders. Feel free to call Linda for Zazzle Coupon Codes. Many sales on various personalization gifts at different times. People love giving and receiving a Calendar Made with Personal Photos. Every month, they will smile when they look at your adorable children, cute pets or beautiful vacation photos. Make a wonderful memory that will last. The Quality of the Printing is Second to None. 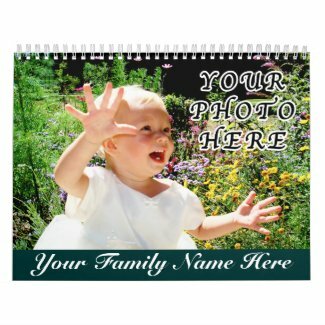 Zazzle has the most outstanding, Crystal Clear Printing that I’ve ever seen so you know you won’t go wrong with the Best Photo Calendar Website, Zazzle. Why do I LOVE Zazzle and feel they are Best Photo Calendar Website? Another reason Zazzle is the very Best Photo Calendar Website is the Quality of the Products. The card stock for these Calendars are nice and heavy making them great for keeping and even framing them when the year is over. Zazzle has earned an A+ Rating from the BBB, Better Business Bureau. Fast Service is important, especially when you have a timeline to adhere to. You can see Zazzle’s ship out date on each product. 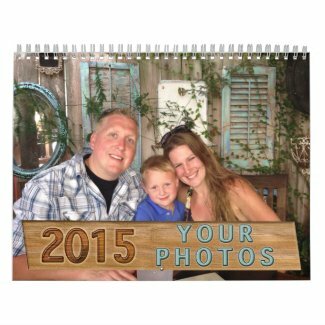 Zazzle will Send your Personalized Photo Calendars to ANY Address. This has been a truly convenient feature for me since I moved out of town and away from all of my family. I create personalized, special gifts and have them sent right to their home. The number ONE Reason, I chose Zazzle as the Best Photo Calendar Website for making the Best Quality Photo Calendars is that the the Photos turned out vibrant and with fabulous detail. Zazzle can boast a LESS than 1% Return Rate. That is IMPRESSIVE. They have a wonderful Quality Control Team that monitors your orders. When they see that something isn’t fitting correctly or the photo you are using will be too blurry because it is not High Resolution enough or large enough, you will either get a big bold Orange Block Message while you are adding your photos or you will get an email shortly after creating your Calendar that something went wrong. I am working full time creating Custom and Personalizable Gifts that it was extremely important to me that I chose the Best Personalized Gifts Company to be a Designer and an Associate for. Calendar Templates are carefully proportioned to fit your 6 x 4 inch and 4 x 6 inch images and typical 4.5 x 6 digital pictures. START ANY MONTH Calendars come in 12 month, 18 month and 24 month calendars. Choose from Onepage calendars to Two Page Calendars. Two Page Calendars are available in Small, Standard and Huge sizes. Easy to make and so much fun to give and to receive. How about Calendars for Gifts for People who have Everything. In-Laws, Parents, Grandma and Grandpa and other family and friends. Have fun creating these calendars knowing how much your family will love looking at it all year long. They might even frame some of the pictures at the end of the year they are so nice. Detailed vibrantly printed with state of the art robotic printing process is “Second to None” according to Zazzle. This is why I am a designer for Zazzle. They care about their customers and providing quality merchandise with amazing printing. Please BOOKMARK this Article and Share it! I will Update this Article EVERY YEAR so you will always find the Best Photo Calendar Website. Thank you soooooooo much for shopping with Little Linda Pinda! Come and visit our whole personalizable gifts shop at world renown Zazzle. 100% Love it Guarantee on Everything for a 30 day money back promise. I am amazed on the fact they the have Less than 1% of merchandise Returned. I love the fact that they earned an A+ BBB, Better Business Bureau Rating too. CLICK the Tiger and me, Linda to go directly to our Zazzle Personalizable Gifts store. Thank you for shopping with Little Linda Pinda Designs and the Best Photo Calendar Website Review. I love helping people so Please Call me if you need HELP or would like me to ADD your pictures for you at no extra cost. The outstanding High Quality Semi Gloss/Matt Photo Paper and Brilliantly Detailed Photo Printing makes this the absolute, hands down Best Photo Calendar Website.